Still thinking what to prepare on valentine’s day ? Not getting any good idea ? If you are looking for a rich dessert which is refreshing, yummy and takes a little time , then you are on a right place. This refreshing yummy dessert will be delightful treat for all . This is a quick preparation recipe and definitely gives yummy result. Strawberries are on season and it’s a dream fruit for many. Strawberry has a sweet & pleasant aroma . It tastes best in raw form like milkshake or smoothie than in cooked form. Pune is popular for its variety of cuisine which is suitable for every palate. Whether it is spicy bhel or Maharashtrian thali or a freshly rustled sumptuous glass of Mango Mastani, Pune’s very own creation. 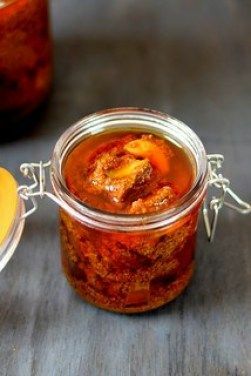 Traditionally Puna was popular only for mango mastani but now-a-days a lot of flavors of mastanis are available. Mastani is also available throughout India . We don’t get much variety like pune here. So making it at home and enjoying is the last option. 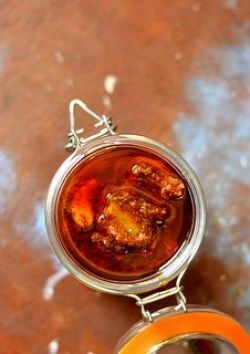 When chilled mastani is served to people , they usually call it as “mast” that’s why it got its name as mastani. Few believe that it has got its name from “Bajirao” and his love “mastani”. whatever may be a name and form it is always easy to make & yummy to eat. Mastani is a combination of milkshake , icecream dry fruits and chopped fruits. Any type of fruit can be added to the basic recipe. Dry fruits, condensed milk or whipping cream can be added to the milkshake to make the dish rich and creamy. Usually mastani is served as a beverage. 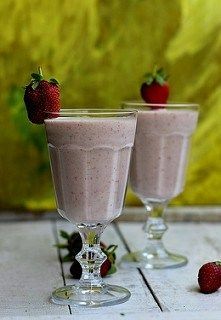 Strawberry mastani is another flavor of mastani, where strawberry milkshake is served with a scoop of vanilla ice-cream or strawberry ice-cream. Usually when we hear the name milkshake, we think it is for kids only. But here you will change your thought if you taste it once. It is like blowing one’s own trumpet. Yes it is simple but its simplicity lies in the fresh strawberries. when it is blended with chilled milk and rich cashew ,it becomes a scrumptious result. First of all we will prepare Strawberry coulis . Combine water and sugar in a sauce pan. When sugar melts , add chopped strawberries along with lemon juice. Cook in low flame for 7- 10 minutes. Blend it through a hand blender . You can strain it , of course if you don’t then also no problem, you will enjoy soft little chunks of berries in your coulis. Rinse the berries, remove stem and cut into half or into small pieces. Chop cashew nuts, chop strawberries and prepare coulis. In a blender combine strawberries,oat, cashew , scoops of ice-cream and sugar . You may need a little portion of milk to blend these ingredients. Add cardamom pods also and blend at high speed till no chunks remain left. Add chilled milk and blend for few seconds more till it becomes a smooth shake. Add a tsp of strawberry coulis on the bottom of the glass, then pour the prepared milkshake. Add scoop of ice-cream on the top of each glass. Season the shake with chopped dry fruits and strawberry pieces on top. Delicious strawberry mastani is ready to sip . Enjoy before icecream starts to melt !! Sugar quantity depends on the sweetness of the strawberries . you can skip adding strawberry coulis. If strawberry coulis is ready then you can prepare this mastani in just 3 minutes. Oh my my this is really amazing dessert for this occasion, I just loved it…beautiful clicks too ! !